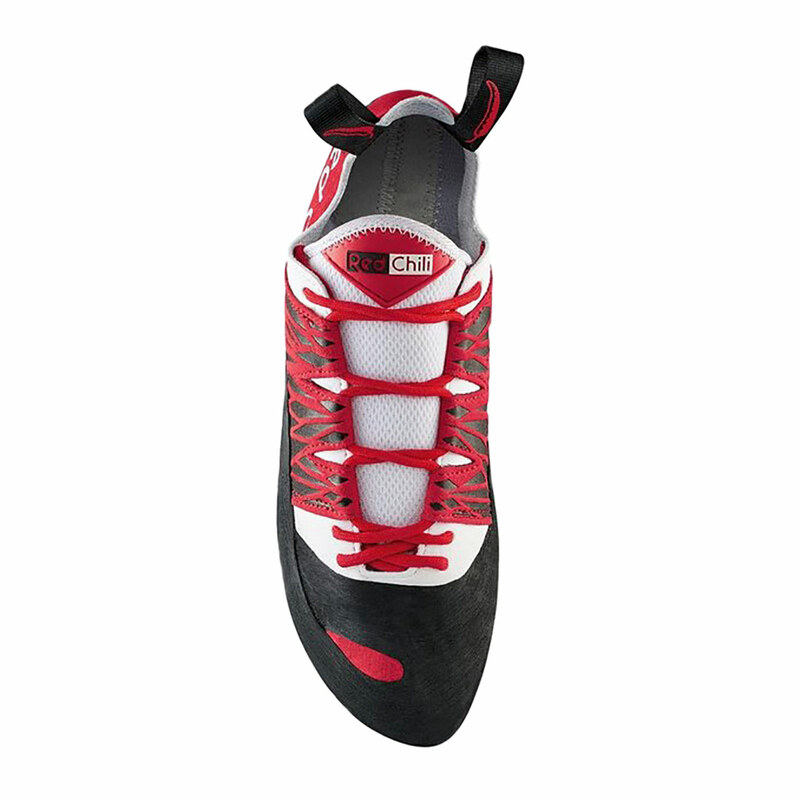 The Red Chili Stratos Climbing Shoe is a high-performance lace-up rock shoe for mid-level to hard sport climbing, multi-pitch climbing and indoor climbing which is great for narrow feet. The Red Chili Stratos Climbing Shoe has a neutral camber for a little extra comfort on long climbs, but the asymmetric, narrow fit means you can still perform technical manoeuvres. 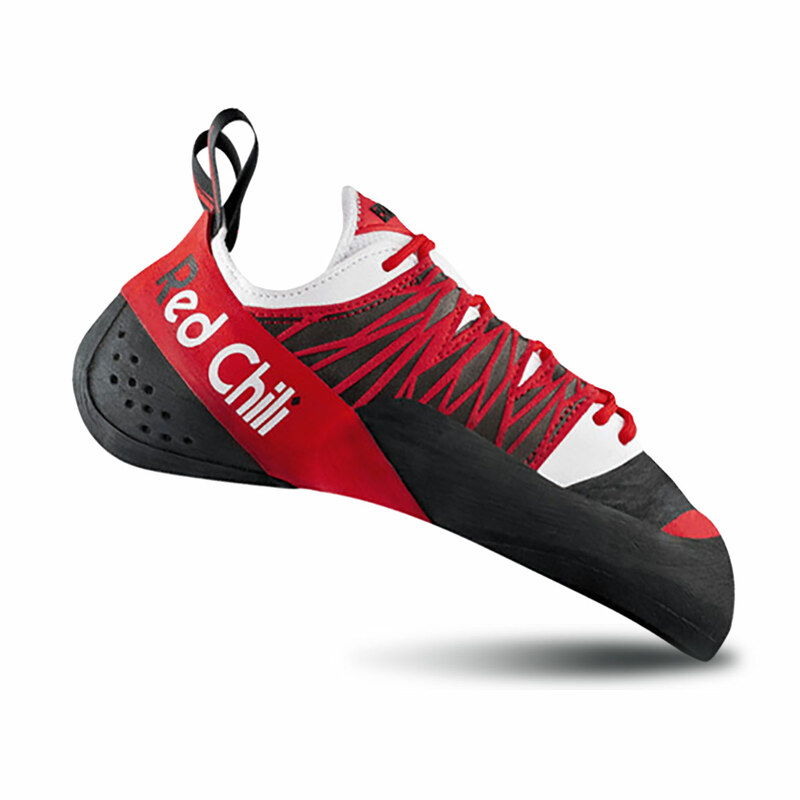 The mid-stiffness midsole and Red Wrap Around Slingshot provide on-point edging capabilities, along with the two-piece sole, which makes for a comfortable but incredibly technical advanced rock shoe that excels at complex micro moves.